Swetha N B, Shobha, Ramya M S, Sriram S.
Background: Health-seeking behavior (HSB) refers to a series of actions taken to correct the perceived ill-health. Knowledge on HSB of the target population is pertinent to achieve health for all. To fulfill community perspectives and needs, health systems need to adapt their strategies, taking into account the findings from behavioral studies. HSB of a person is affected by a number of factors acting at various levels. Behavior of the population of denying health care at public sector needs rectification by improving the quality of services. Objective: The objective of this study was to assess the HSB and factors affecting it among the households of urban field practice area, Bengaluru. Materials and Methods: A cross-sectional study was conducted in the urban field practice area of Bengaluru. The sample size was calculated to be 350 households. 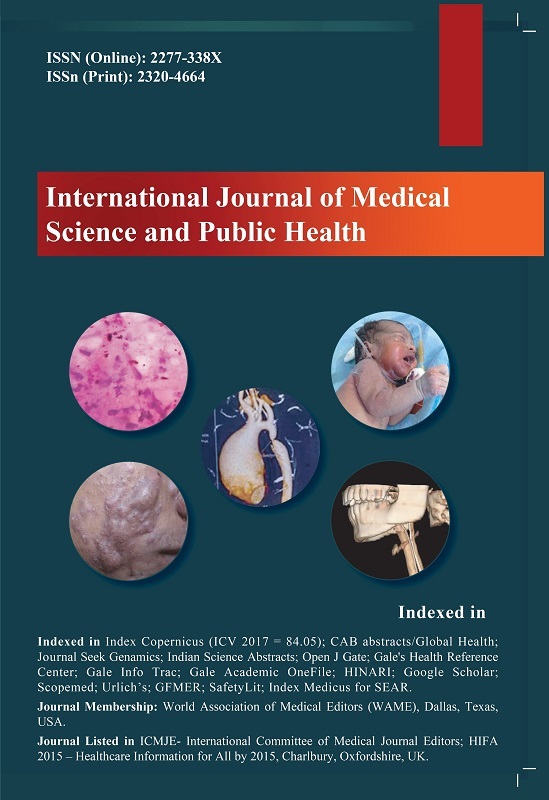 Data regarding sociodemographic profile, preferred health sector during illness, and other details were obtained by interview method using a pre-tested and semi-structured questionnaire. Results: Majority of households (269) agreed to that they were availing services from government health sector. However, still, it was noticed that 81 households (23.10%) did not avail any kind of services from government health sector. Most common reasons for not visiting government health sector were inconvenient timings (40.96% of responses), overcrowding (28.80%), and unsatisfactory services (21.40%). Conclusion: Households chose costly, satisfactory health services at private sector over low cost unsatisfactory health services at government health center.